For as long as I remember “mail-time” has been one of my most favorite time of day. Even when I was too young to actually receive anything I used to get excited.Now that I’m older and I actually receive things in the mail, my most anticipated time of day has gotten even better. However, I don’t always get things in the mail. And a month without anything but bills and maybe a couple of home decoration magazines doesn’t seem like much of a month at all. That’s why I’ve decided to subscribe to Subscription Sample Boxes. Yup, you read that right. I am going to pay for somebody to send me a box of samples. But these samples aren’t a bunch of scratch and sniff perfume cards (not that I don’t love those either). 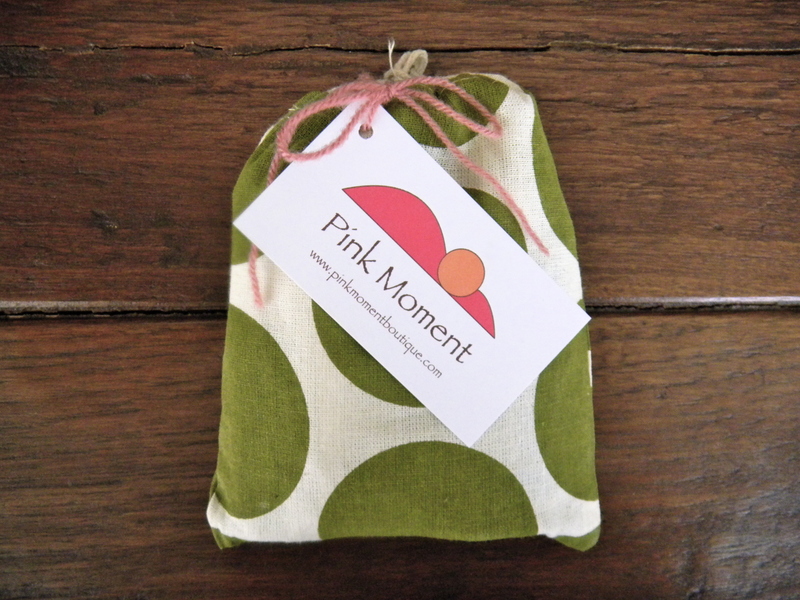 These companies go through the trouble of arranging a select number of premier samples, and sending them out to their customers in adorable packages. Among these (nineteen) Subscription Sample Box’s are box’s for foodies, make-up fans, and those looking for environmentally friendly, healthy products to test out. If they tell you that they’re all sold out, subscribe to an email update so you’ll know when they’re available again- act quick because they go fast! 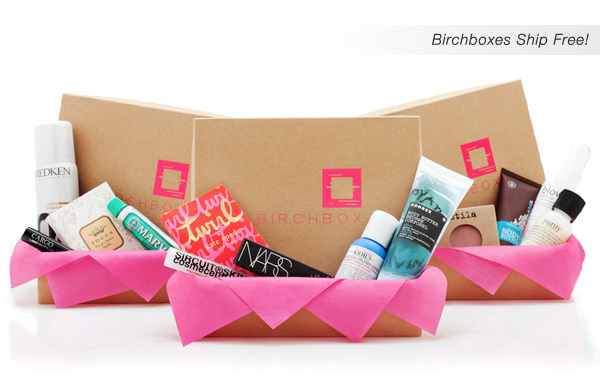 Birchbox: The infamous subscription retail company has been featured on a just about every news platform out there from People to The Times- and for good reason. They deliver high end samples at $10 a box/month. Check out some happy customers YouTube vid’s here. Also, Birchbox is a NYC-based company- so yay Birchbox! VoxBox: Now I’ve done my research and Voxbox has a lot of really good reviews. 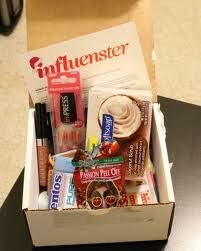 I just joined myself, but you should know that the box is part of a program called influenster. It’s a really great program that allows users to qualify for boxes and then review them- which creates a really good environment for active consumerism where users promote brands they love. My Glam: The monthly glam bag sent to customers is fiLled with 4-5 samples of full-sized products and is paired with video’s created by stylists using the products included in the bag. At $10 a month- MyGlam is well worth a try and is a great opportunity for brand discovery. 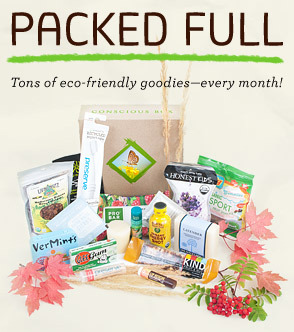 Conscious Box: “Conscious Box is a monthly delivery of pure and sustainable products that are handpicked from businesses that care for the planet- just like you.” Conscious box is a little more expensive at $12 a month, plus $7 shipping- but has received some pretty positive reviews. Julep Maven: Being a Julep Maven means that you get access to the beauty editor Sneak Peak Box created by Julep every month. The box is filled with the hottest trends in nail color and the latest mani/pedi care products. A subscription is $19.99 a month. Reviews here. For a limited time use the code COLOR2012 to get the box for $0.01!!! Foodzie: Foodzie tasting boxes are run by the artisinal food site Foodzie. A tasting box for one month costs $29.95. These boxes make for great gifts, each box is carefully selected by the Foodzie team- which pretty much ensures a wide range of quality products. GoGo Girlfriend: Right now gogo girlfriend is only allowing people to sign up on their waiting list. And for good reason. They’re notorious online for sending out great make-up sample boxes (especially to their premium members). If you happen to be able to score the chance to obtain membership- don’t hesitate. Basic membership is $6.99 a month (1 box every 2 months), premium is $12.99 a month (for a monthly box). 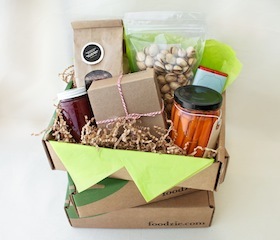 BlissmoBox: For $19 a month, you’ll get a box filled with organic eco-friendly products. What’s great about BlissmoBox is that you get to choose which box you want from a set of curated limited quantity box options. They also offer a “BreakBox” for non-junky office snacks. Eco-Emi: Another “green” box, Eco-Emi offers a wide variety of eco-friendly products for $15 a month. Their packaging is supposed to be super adorable as well. New beauty Test Tube: New Beauty’s test tube includes their magazine, various beauty samples, and a $50 gift card to Spalook.com all for $29.95- of all the sample subscription boxes. I’d have to say this one offers the best deal– the gift card alone pays for the cost of one month. Beauty Army: Beauty Army gives you the option of choosing exactly what samples you want from their selection of products. With premium packaging, the Beauty Army box can arrive in your mailbox for $12 a month. The Sample Lounge: The Sample Lounge gives you the option of being a yearly or monthy subscriber ($14.99 a month/$153.00 a year). Inside each of TSL’s sample boxes are 7 healthy beauty and skincare products. Beauty Fix: Beauty Fix isn’t technically a “sample box”- they send out full size high end products chosen by a panel of experts specifically just for you. It’s still steal because $50 is a lot less then the combined total retail of the products they send you. Glymm: Glymm, like a quite a few of these subscription programs, offers a points program that can be used to purchase products, or another box. Glymm conveniently allows users to pay for any number of months they want in one sitting as oppose to having your card charged monthly. 4 -5 Luxury samples are yours for only $10 a month. Luxe Box: The Luxe Box is a sampling program created by Loosebutton.com, they also offer about 4-5 samples for $12 a month. As of now, Luxe Box is only available in Canada– but they’re working on going international. GlossyBox: Another company also working on making it to the states- glossybox is currently allowing users to join the VIP Line for when they go live in the US. Sign up here! Beauty Bar Sample Society: Beauty Bar has partnered with allure for this beauty sample offering. They include a monthly mini-mag, an allure subscription, and 4-5 deluxe sixed samples. At $15 a month, membership is limited. Spirit Beauty Lounge Sample Boxes: Spirit Beauty Lounge’s sample boxes aren’t a part of a subscription service. However, you can choose from their available boxes based on your skin type. They also offer a deluxe sample kit that lets you choose the 10 samples tha you want. Pink Moment: Pink Moment is very much like eco-emi. For $12 a month you get a box of natural or organic samples for you to try out. Quarterly Co.: I really love the subscription service that Quarterly provides! They allow you to choose what contributor that you want to subscribe to. They explain this better here. For $25 Quarterly allows a more personal, tailored experience for the customer. It’s so cool! 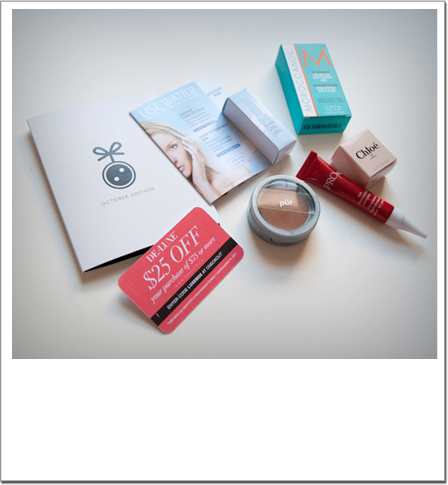 I just scored a subscription to Julep Maven- so stay tuned! Thanks-a-mundo for that article. Awesome.